All passengers requesting a discount fare by virtue of their age or a disability must present valid identification (ID) and/or proof of eligibility, along with the proper fare, upon boarding. Accepted proof of eligibility includes: a current Discount Photo ID issued by Yuba-Sutter Transit or another transit agency; driver’s license or State issued photo ID (for proof of age only); or, a Medicare card presented along with a valid, State issued photo ID (for identity verification). 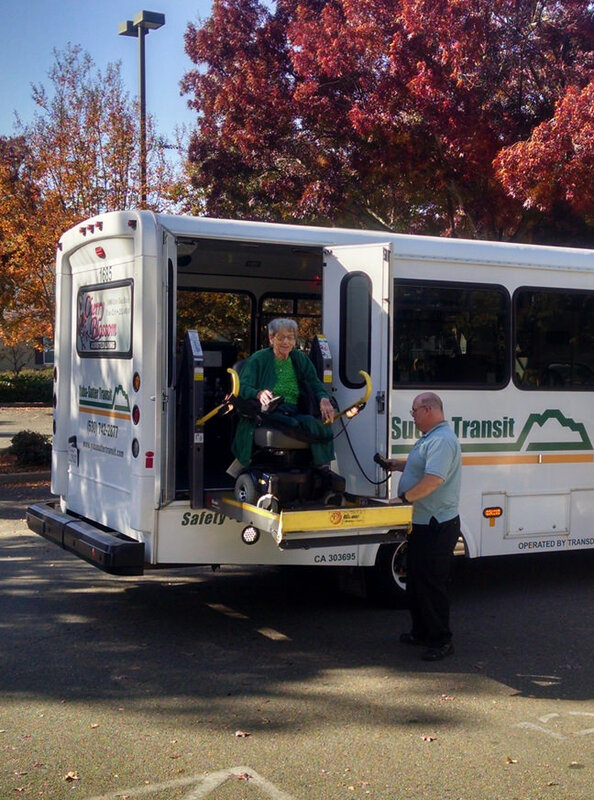 Yuba-Sutter Transit Discount Photo ID cards can be purchased for $5.00 each at the Yuba-Sutter Transit Administrative office located at 2100 B St. in Marysville from 9:00 a.m. to 12 noon and from 1:00 p.m. to 4:00 p.m. each weekday, excluding major holidays. Eligible seniors age 64 and over, persons with disabilities and Medicare cardholders must present valid identification (driver’s license or State issued photo ID) and proof of eligibility.